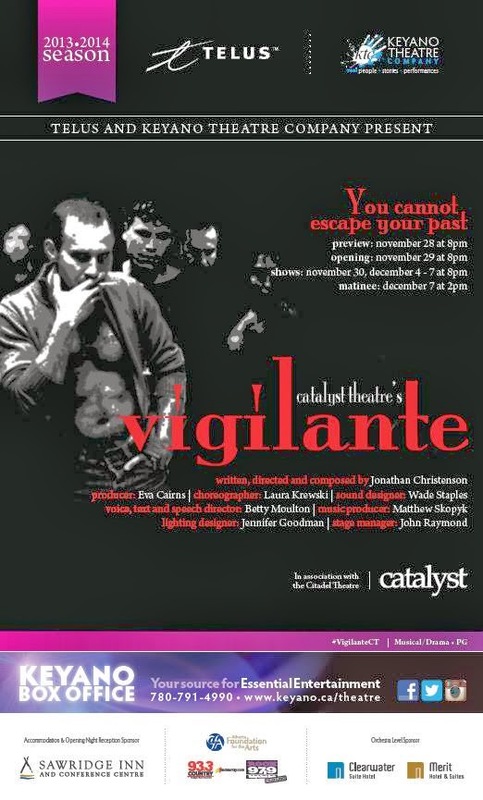 Catalyst Theatre is back in Fort McMurray to unveil their latest work in progress: Vigilante. Conceived by Jonathan Christenson, this musical builds on a body of work that includes Frankenstein, Nevermore and Hunchback. It takes a dark page from the Canadian history books, overlays the Catalyst style and form, and results in another theatrical experience that promises to be riveting. To be fair, I was only offered a small slice, a mere morsel of the show during last night's media call. It was more than enough to convince me - not that I needed any convincing - that this was going to be something special. Vigilante tells the story of the Black Donnellys, an Ontario family that was brutally murdered on February 4, 1880 by a crowd intent on doling out their version of community justice. The mob came calling on the Donnellys that evening, carrying clubs, sticks and all manner of farming tools and took the lives of five people: James and Johannah, their sons, John and Tom, and a niece named Bridget. Nobody was ever convicted of the crime as the vigilante justice, a fire and subsequent looting, robbed the law enforcement people of the time of any evidence. The only account of this dark chapter, often referred to as "The Biddulph Tragedy" - that was the name of the township where this happened - came from a young farmhand named Johnny O'Connor, who managed to avoid being a part of the massacre by hiding under the bed. As I prepared for the media call, reading about the Donnelly tale on Wikipedia and on www.donnellys.com, the question that eluded me, and still does, to some degree, is how this macabre episode has attracted hundreds of thousands of "enthusiasts", who soak up everything they can about this story, visit the area as tourists, and remain fascinated by the characters involved. "This show is about the razor's edge we sometimes ride in families," said writer/composer/director Jonathan Christenson. "Things have a way of exploding." "In the case of this story, is it an internal explosion or an external one?" I asked. "I would have to say that the way we tell it, it is more of an internal explosion." 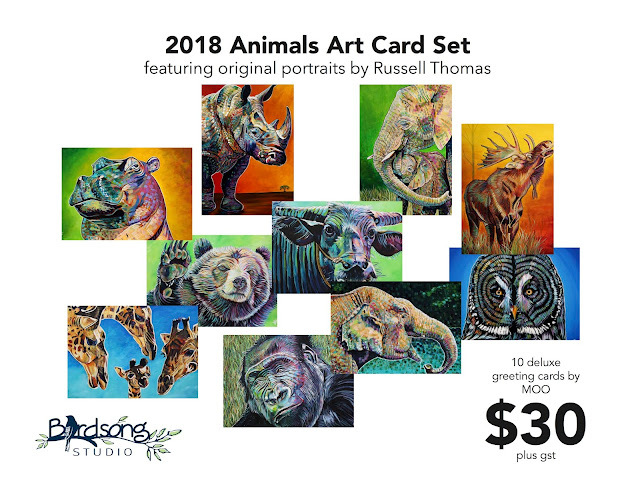 The story is told from the vantage point of the deceased, a unique perspective, but not one that is unfamiliar within the Catalyst creative style. The difference this time around, is that this is a real story, of a terrible chain of events that had their roots in the anger, mistrust and hatred that were brought over from Ireland during a time when the country was haemorrhaging people. "It is a cautionary tale," suggested Brenda McNicol, the company's tour coordinator. "In many ways, the story is very relevant and timely to what is happening right now. Many immigrants are coming to Canada from places where there is great hardship, deep seeded hatred and tribalism, not dissimilar to what was experienced in the late 1800's coming out of Ireland." The sins of the old country, of stubbornness and an unbreakable hardness, were brought along on that ship crossing the Atlantic and eventually led to the demise of the Donnellys. Scott Shpeley returns to the Keyano Theatre stage playing Tommy Donnelly. He last appeared here as Edgar in Nevermore: The Imaginary Life and Mysterious Death of Edgar Allan Poe. "Do you fear getting type cast as the dead guy?" asked Jerry Neville from Country 93.3. Scott laughed, obviously ebullient to be back with the Catalyst Theatre creative team developing another new work that has the potential to follow in the successful footsteps of its many award-winning forebears. Vigilante also marks the return of Lucas Meeuse to Keyano Theatre. We worked together on Beauty and the Beast, under the direction of Jonathan Christenson, in 2006. He also went on to win the Suncor Energy Homegrown Talent Search at interPLAY that summer. 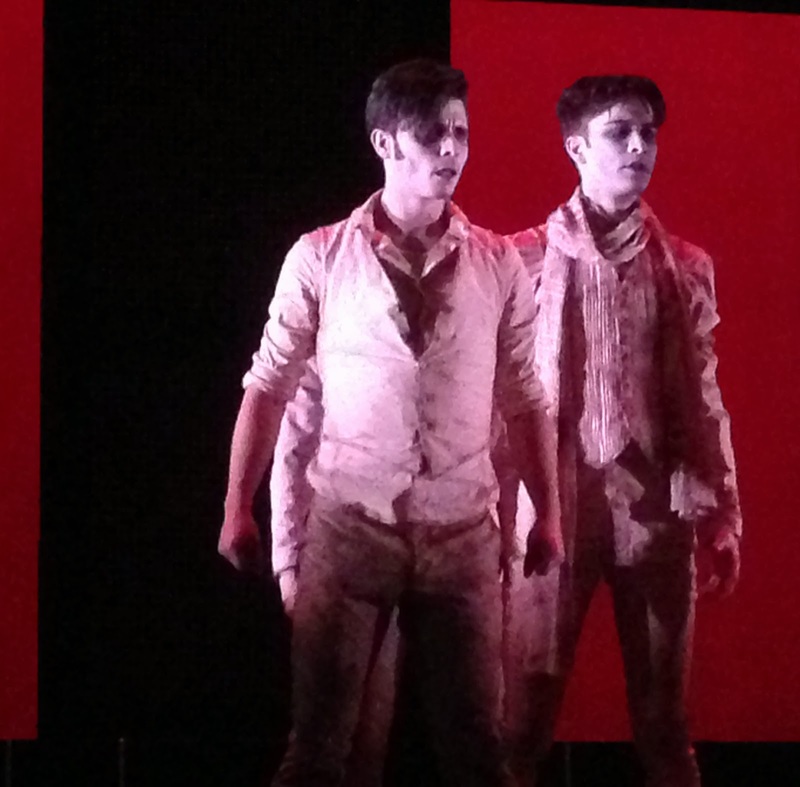 To see a hometown boy return in a show of this calibre is alone worth the price of admission. For ticket and show information visit www.keyano.ca/theatre. 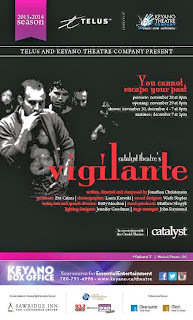 Find a way to see Vigilante. 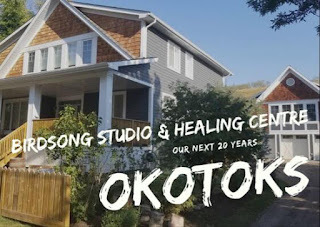 Catalyst Theatre is completely unique in their way of telling stories, and the fact that we get to see another one of their new creations before anyone else, is a real gift.